Hanger? I Hardly Knew Her! Face it, kids. Filet mignon is overrated. Yes, it’s tender. Yes, it costs more than most other steaks. But really, if you ask me for the cut that I turn to time and time again for an in-home, steakhouse experience, it’s all about the hanger steak. Centered between the other popular cuts of brisket and flank. It’s sometimes referred to as skirt, even though it’s actually a completely separate cut of meat (though close by). 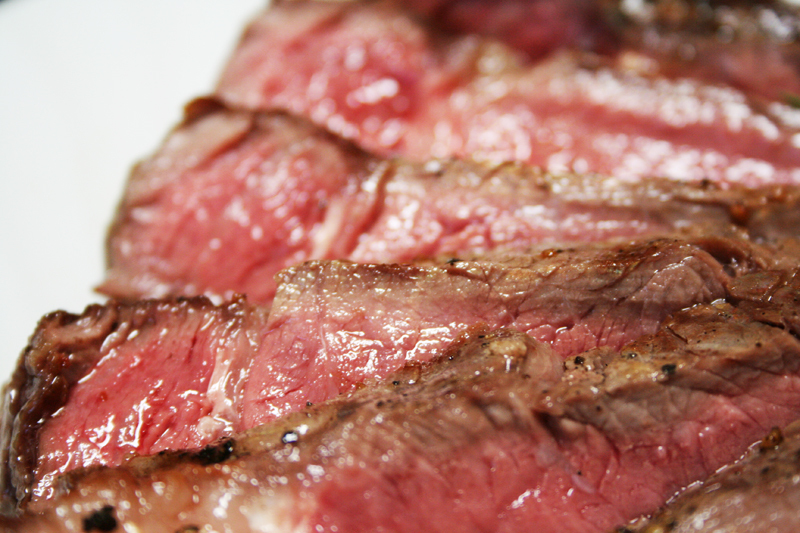 If you see “onglet” on a French bistro menu, they are referring to hanger steak. 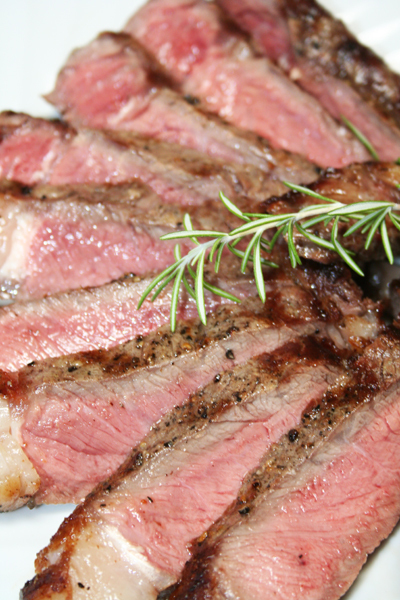 The steak itself is comprised of two long strips of meat, with an inedible white membrane running down the middle. I’m usually too lazy to cut this out when I cook the steak at home, but if you want to be a fancy pants, trim this out before you cut portions of steak.